The jar with so many uses! So many uses! 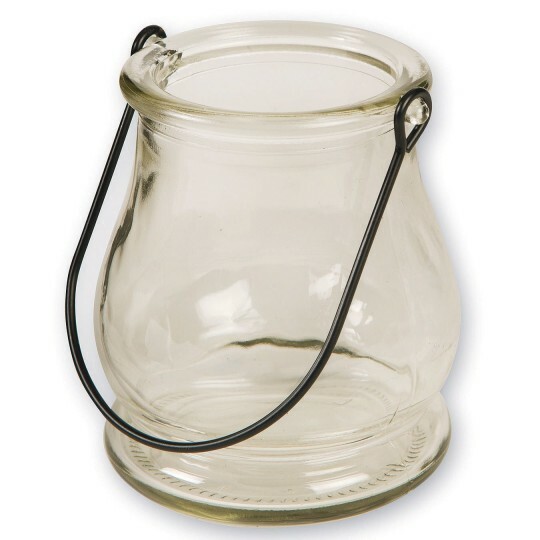 Versatile thick glass jar with attached black metal hanger. Thick rolled rim with glass pegs that hold the hanger. 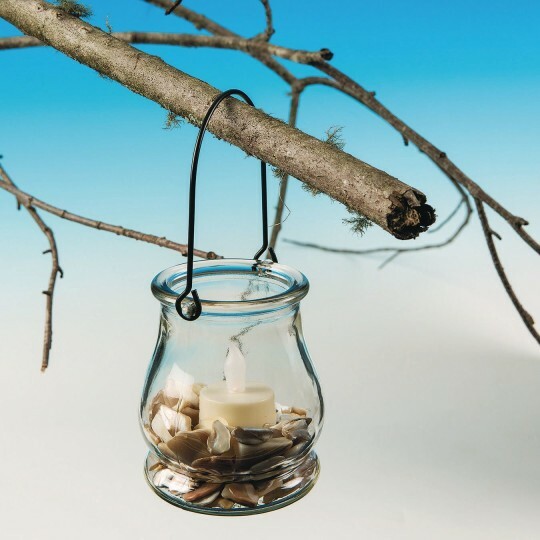 Perfect for hanging arrangements, to hold votives and tea lights, or even to place on a tabletop or windowsill with a live plant. Decorate with trim or paint on the outside, fill with sand, shells, plants, and other found objects. Glass jar measures 3-1/4” diameter base x 3-3/4”H (not including hanger); 7”H including hanger. Opening measures 2-1/8"W.